It’s one thing to collect data. It’s something else to make it easy to understand and actionable. 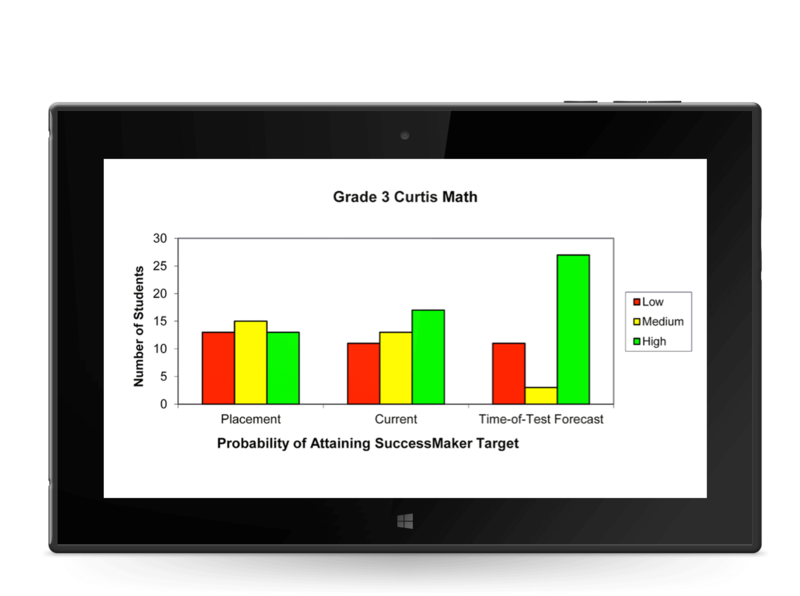 SuccessMaker provides real-time data and predictive power to guide instruction. 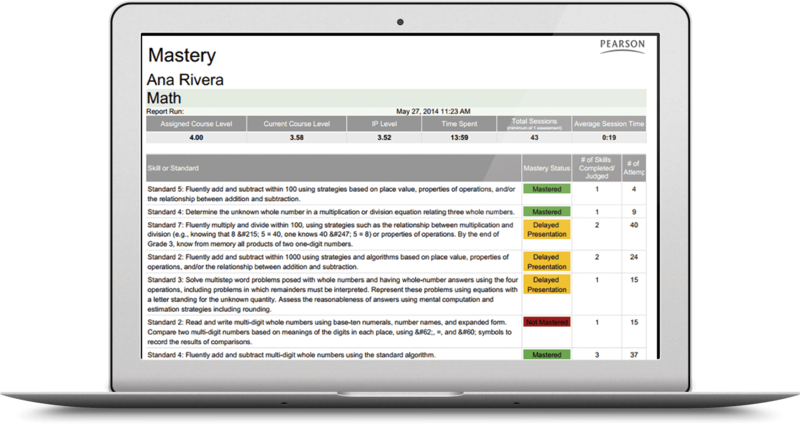 The adaptive software continuously checks student mastery and reports progress. Based on a pattern of responses, SuccessMaker calculates the time needed to achieve mastery and predicts success. This is smart data—data teachers can use. Access student mastery reports by skill or standard. View time spent and attempts made. Real-time data helps teachers hone in on specific learner needs outside of the courseware. Talk about smart data. SuccessMaker not only reports on student progress, it forecasts performance. Teachers can use the forecast to manage student achievement and communicate with parents.